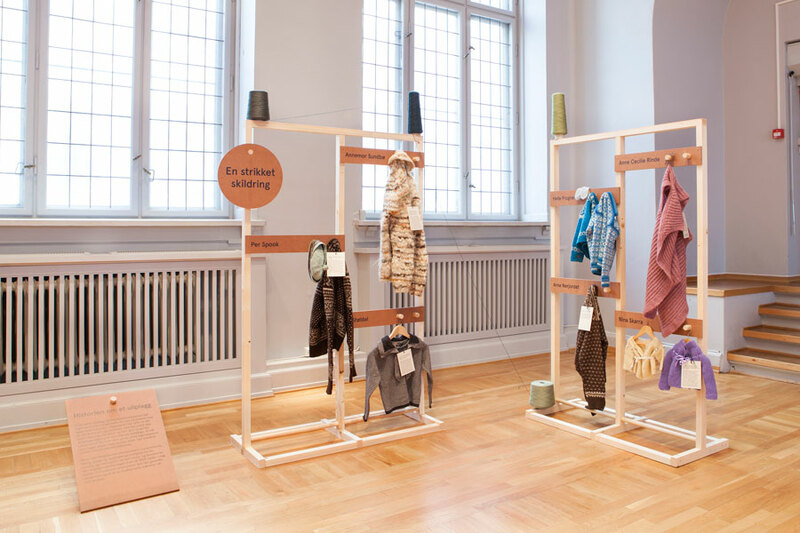 Exhibition and graphic design for a temporary exhibition about wool as a commodity at The Museum of Decorative Arts and Design in Oslo. 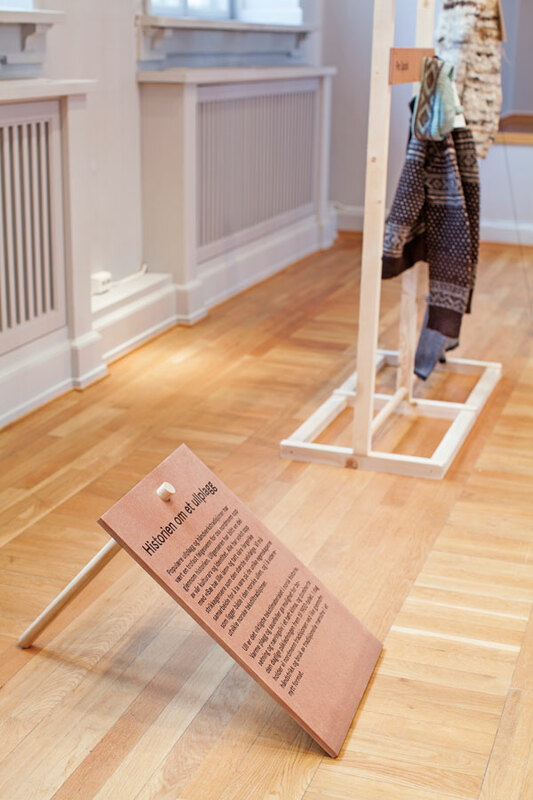 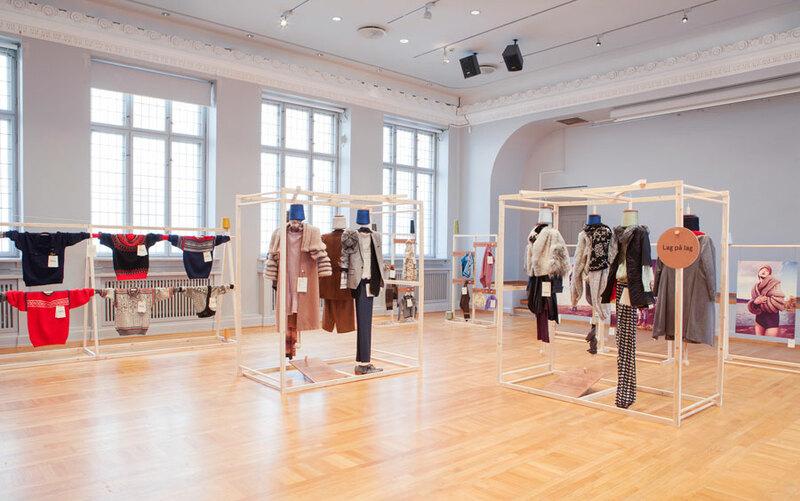 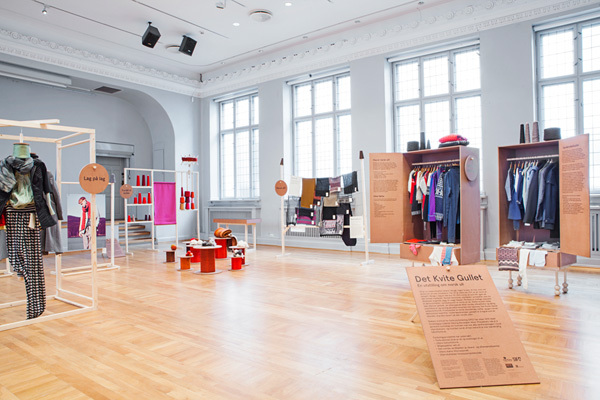 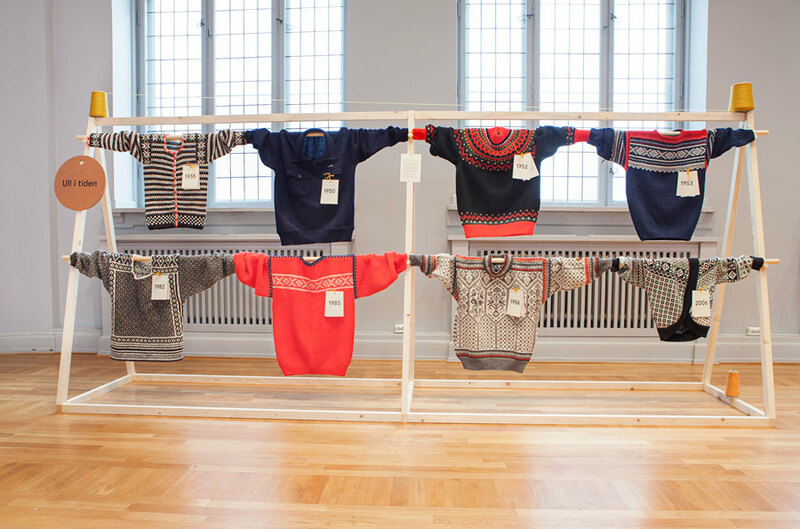 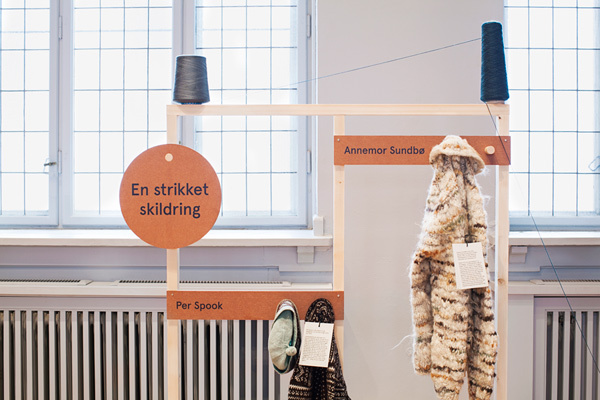 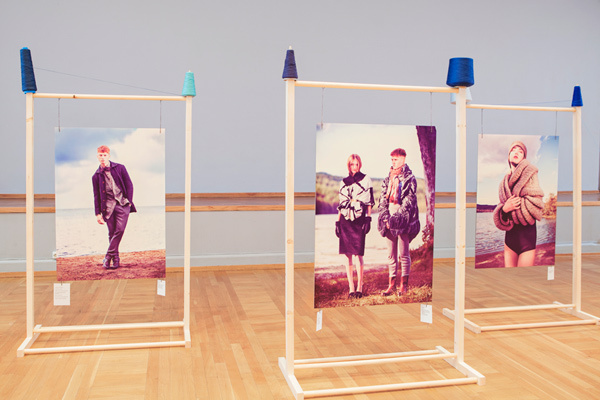 The exhibition is based on the research project, "Valuing Norwegian Wool", about wool as an important textile fibre in Norwegian farming, textile manufacturing and the fashion industry. 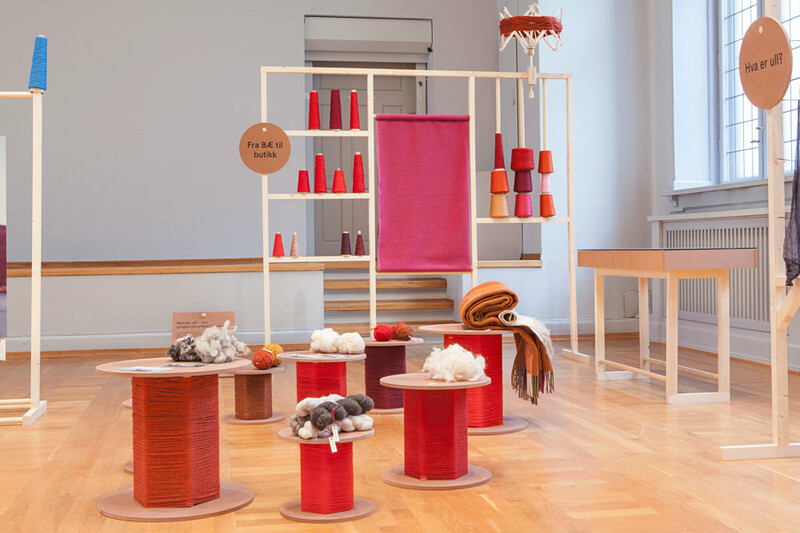 Simple wood stands connected with wool thread provided an economical yet playful structure. The materials and details employed refer to tools commonly used in the wool handicraft and knitting tradition. 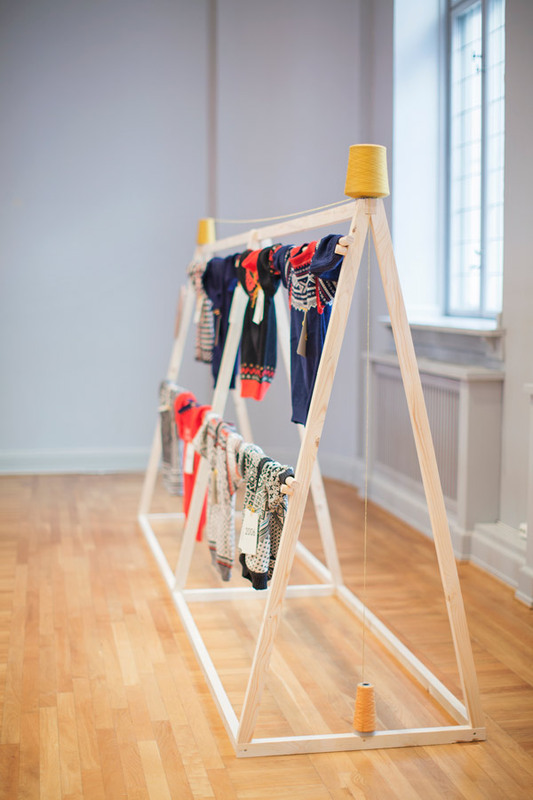 The exhibition is a collaboration between SIFO, NICE and Norwegian Fashion Institute. 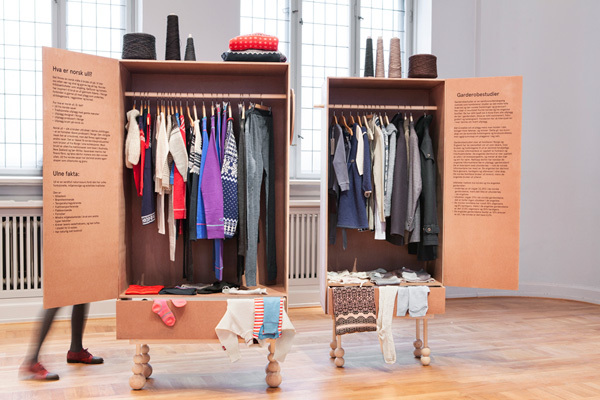 The result of the wardrobe research is visualised in specially designed closets. 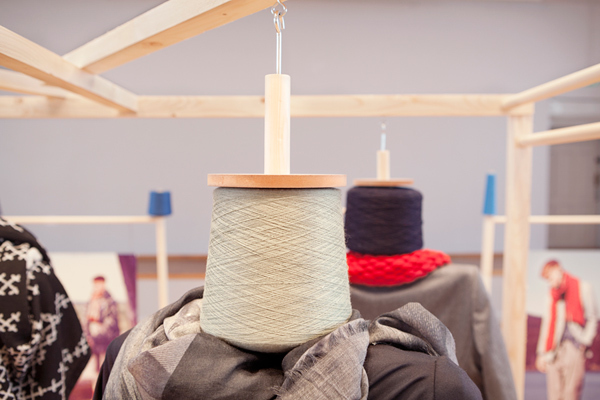 Detail from the hanging mannequins. Each spool represents a significant player in the Norwegian wool industry. 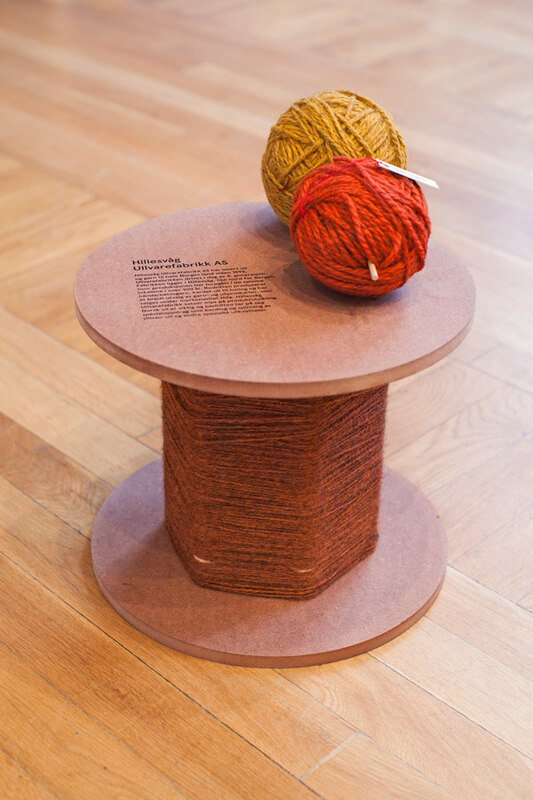 A spool displaying facts from the wool factory Hillesvåg Ullvarefabrikk. 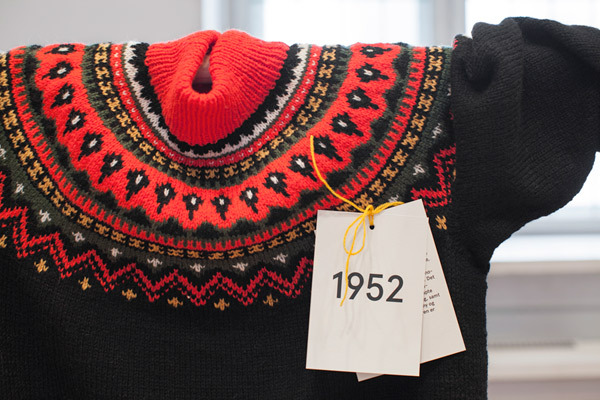 Eight significant sweaters from the Norwegian knitting tradition. 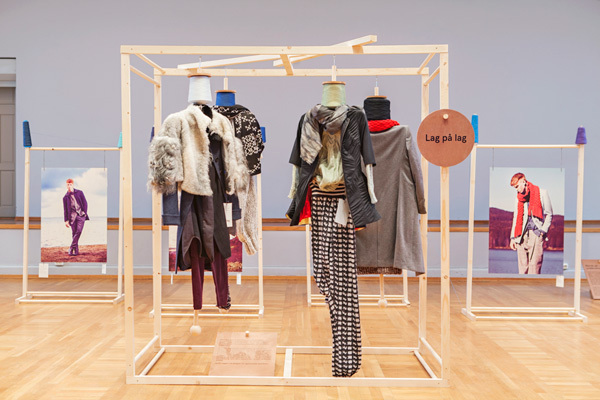 Seven designers tell the story of their favourite wool garment. 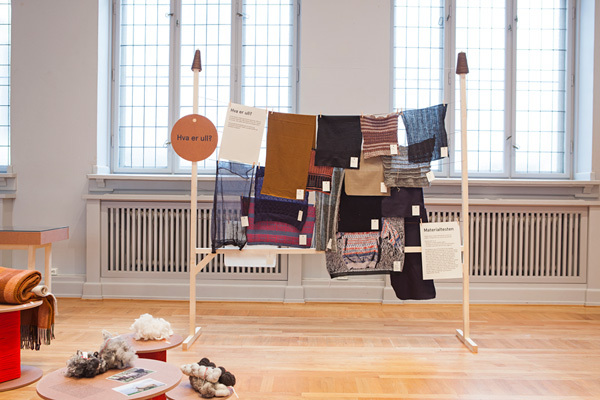 An interactive station where visitors can guess if the textile was cotton or wool. 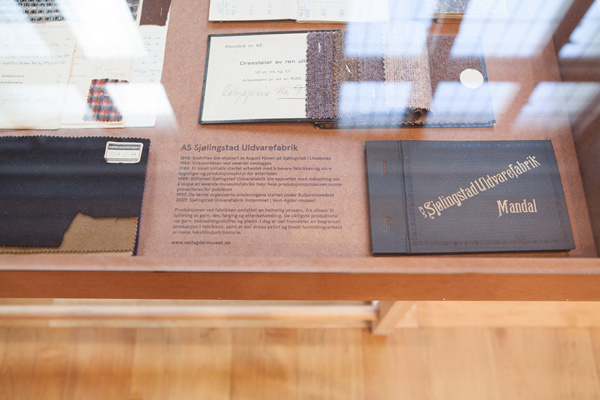 Details from the Archive display box.